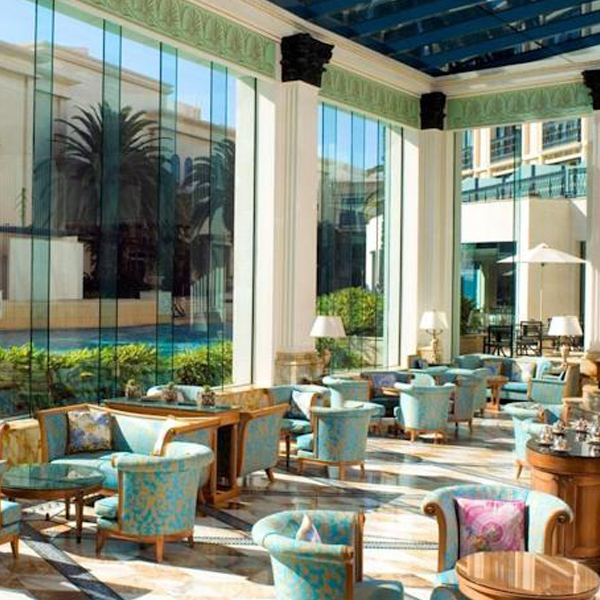 I have not had the pleasure of staying at the Palazzo Versace Hotel as yet, which is why this recommendation is just for High Tea. I have enjoyed High Tea in the grand foyer on numerous occasions though, and I always try and go when I’m in town. Sipping champagne followed by a hot pot of tea, munching on posh sarnies and sweet treats, watching celebrities skimming across the foyer or bathing by the lagoon-style pool through the floor-to-ceiling windows. The floor tiles, cushions, tables, and every piece of furnishing you can find carries the famous Versace emblem. An entourage of Ferrari’s parked out front, carefully watched over by the valets and concierge. This Hotel is a fashion brand, and I always enjoy dressing up and hanging out for an afternoon like part of the glitterati. 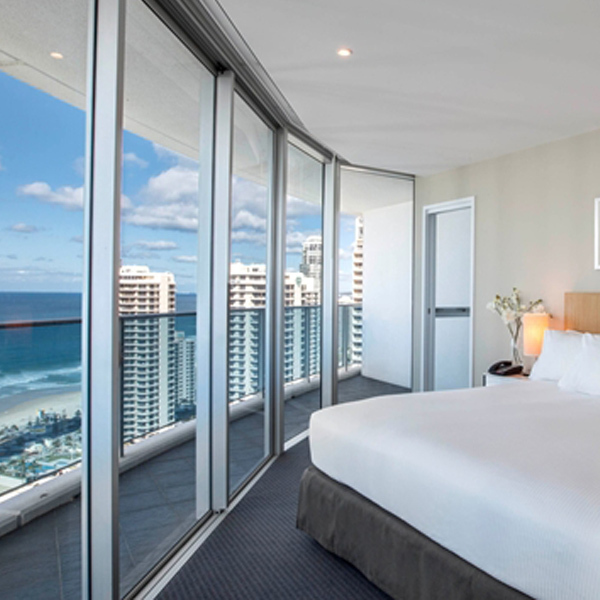 This luxury hotel and residence accommodation is, in my opinion, the play to stay in the hive of activity at the heart of Surfers Paradise. The enormous high rise looms over many of the small towers below, and you would be unlucky not to be allocated a room with a truly breathtaking city and surf view. I think of Surfers Paradise as Australia’s answer to Miami, and sipping cocktails from your balcony at the Hilton, it is not hard to see why. There are many great restaurants, bars, nightclubs and activities right on your doorstep, and the hotel features a great outdoor pool and cabana cafe level as well. The hotel rooms are actually apartments, so you can really spread out feel at home in Paradise.